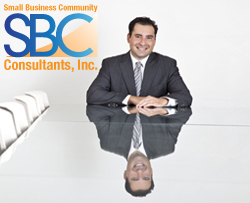 Waiver of the SBA 8(a) 2 year rule - SBC Consultants Inc.
For those applying for the SBA 8(a) Business Development program, you have heard of the 2 year rule. In this article I will be discussing the 5 steps an individual needs to take to waive the 2 year rule. Not all businesses need to be in business for 2 years to apply for the 8(a) program. Some individuals may feel the need to become a part of the program prior to 2 years. The SBA feels that 2 years is a good amount of time for a business to gain experience and have enough revenue to participate successfully in the 8(a) program. But what if you dont have 2 years under your belt? What do you do? Do you wait or do you apply? The SBA has 5 requirements that they recommend a business possesses when applying under the 2 year rule. 1. The individual or individuals upon whom eligibility is based have substantial business management experience. 2. The applicant has demonstrated technical experience to carry out its business plan with a substantial likelihood for success if admitted to the 8(a) BD program. 3. The applicant has adequate capital to sustain its operations and carry out its business plan as a Participant. 5. The applicant has, or can demonstrate its ability to timely obtain, the personnel, facilities, equipment, and any other requirements needed to perform contracts as a Participant. Please visit our website at www.sbclending.com/ to learn more about our services.